Üsküdar University has not left out our citizens living in abroad. 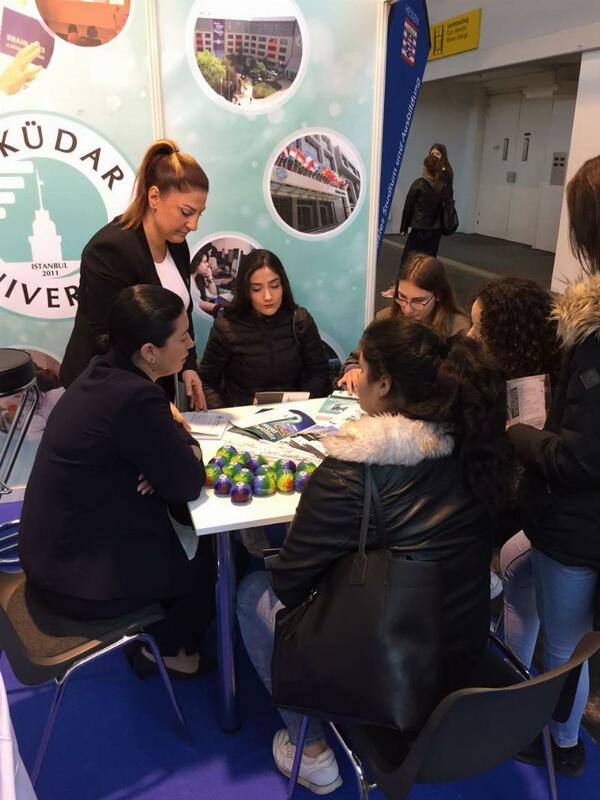 Üsküdar University offers the opportunity for those who cannot study abroad or wish to continue their education in Turkey, to register without any examinations and continues to inform the prospective university students in fairs and meetings attended. Candidates who wish to take advantage of the non-exam University entrance opportunity will be able to attend the promotion days to be held in Duisburg on June 23, in Krefeld on June 24, and in Munich on July 8. Candidates will receive all the related information about the departments they decide to study and the opportunities offered by Üsküdar University. Candidates can attend the meetings free of charge and meet with the experts to make the right choice for their future, the education system in Turkey, and will find answers to questions about issues such as their choice of profession.